Greetings fellow styrene adicts! 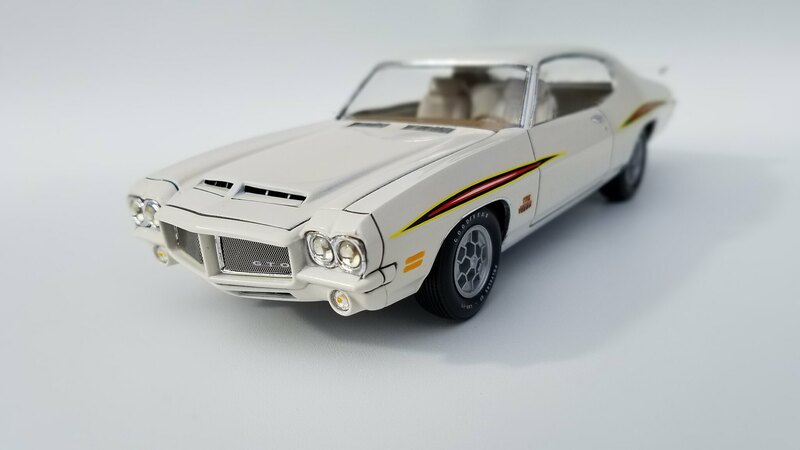 The GTO below is my inspiration for the build. I started on this build back in December of 2013. I've been putting it off for a few years as I improved my modeling skills. 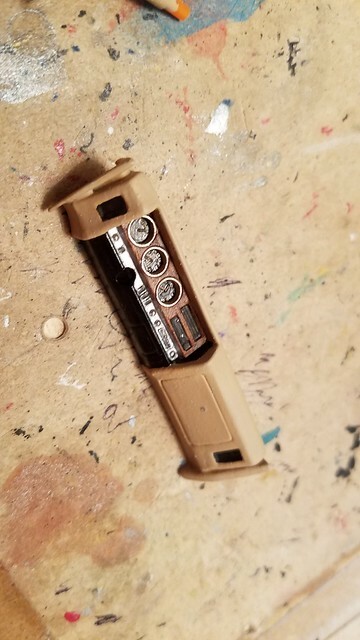 I'm starting off with a 1972 MPC kit (Kit mold needs to be scrapped and redone). 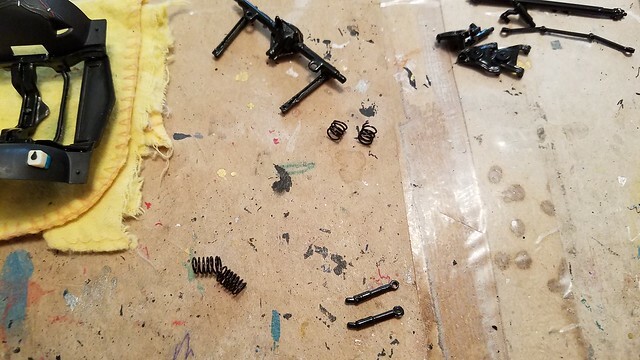 I had to remove a ton of flash from every part on this kit. 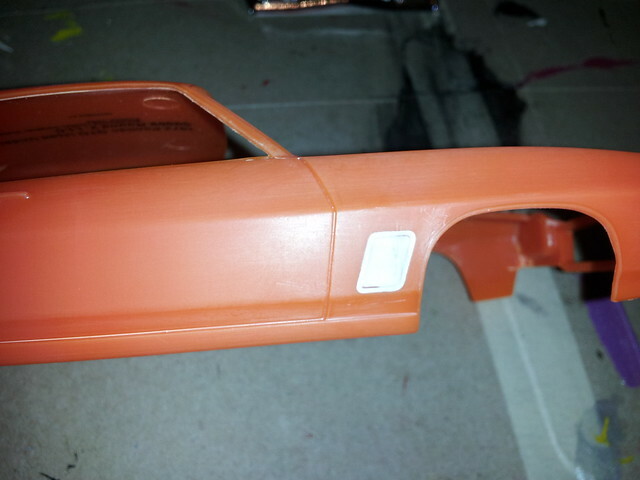 I then added filler to the fender vents and low spots on the kit. 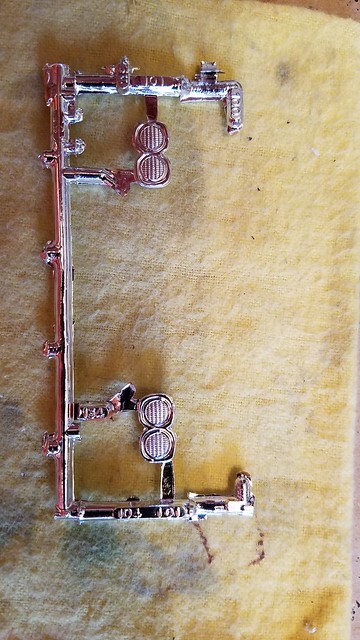 One of the first things I did was buy some fine etch off the internet to use for the grill as the 72 & 71 are different. I was a bit intimidated with trying to cut the metal to shape and not mess it up, but it was a lot easier than I thought. I put in the radiator and core support that I built from a scrap radiator and some sheet styrene. 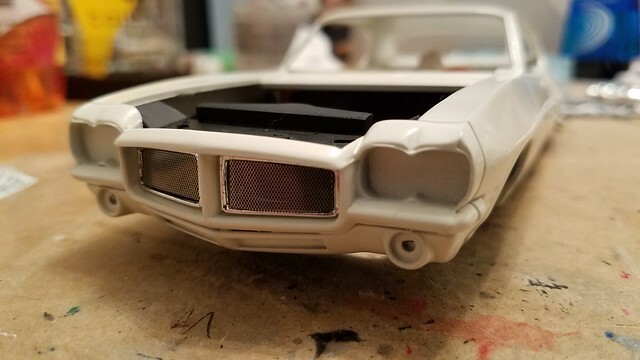 I am going to use a decal or something on the grill for the GTO emblem. Off to a great start on a less-than-stellar kit! 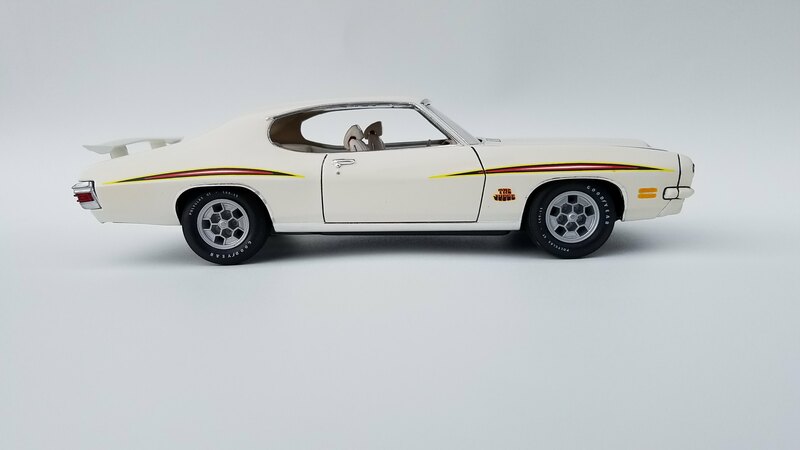 I know you love those GTOs and will make any corrections necessary. The grille looks great! 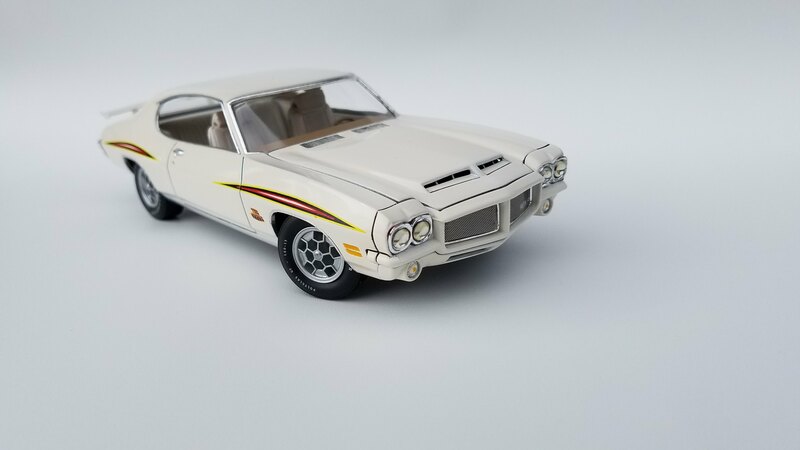 Our only REAL hobby shop has boxes and boxes of armor and naval aftermarket accessories on the counter and you'd be amazed at what you can find there to use on model cars. Sometimes a little pricey, but you can hold it in your hand and don't have to wait for shipping. Worth checking out, for sure. Looking forward to seeing another one done! I used a similar product by K&S Engineeering for several of my past builds. The end result was very satisfying! Your grille is looking very good! 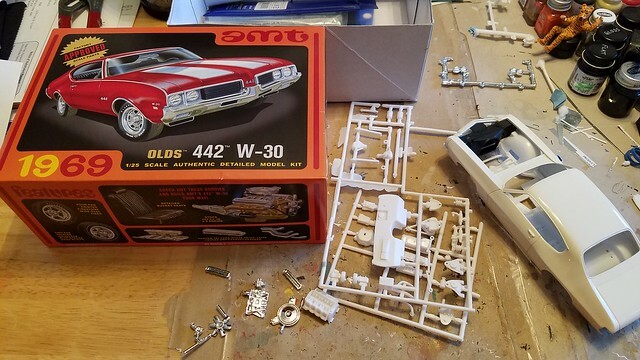 I had been detailing the kit's chassis and found out that Round 2 had rereleased the 1969 Olds 442. 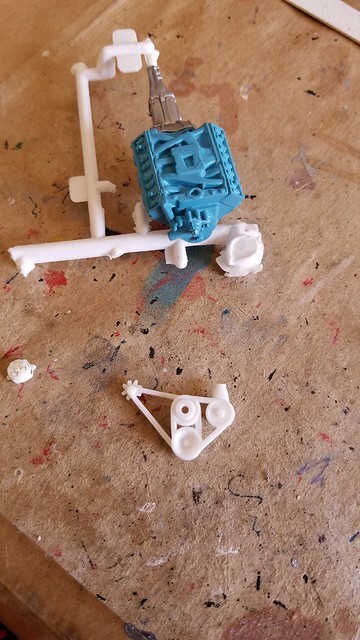 I went and grabbed one of these kits so that I can have an accurate chassis for this model. I also used the 400 that came with it. 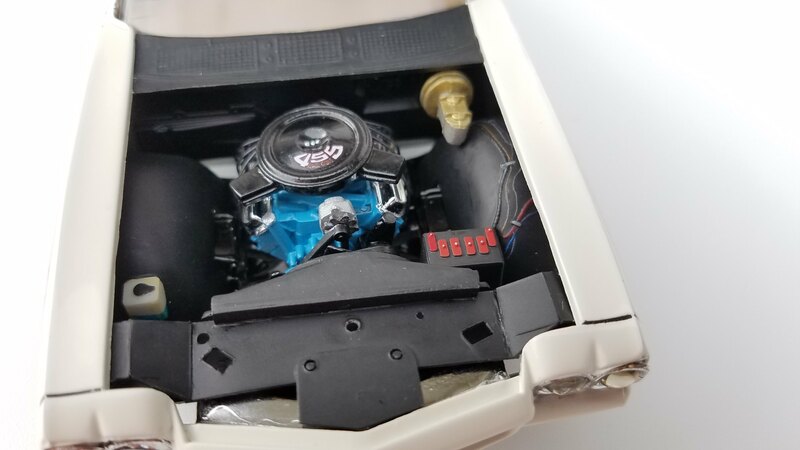 It isn't 100% like the pontiac engine, but it is a million times better than the kit's engine. 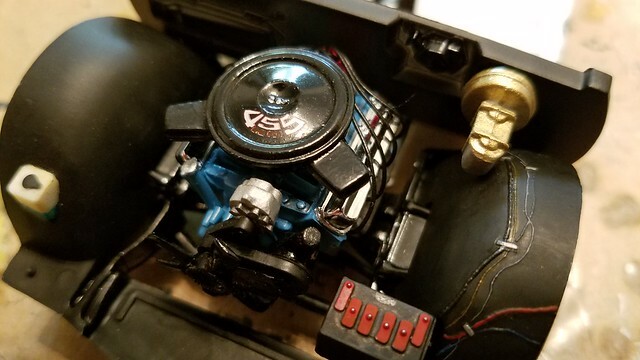 I had to move the location of the alternator, and will have to fix the shape of the upper radiator hose to fit arount the newly located alternator. 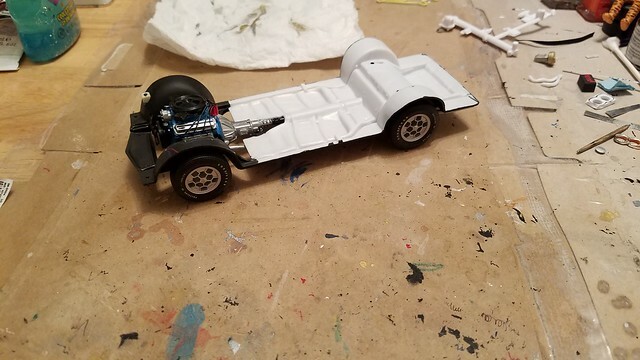 Chassis is finished. 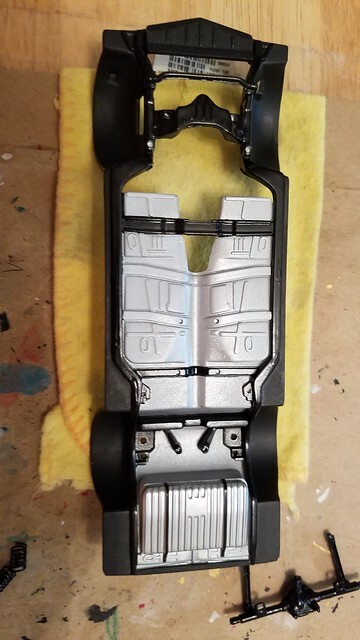 The springs came out good, and the chassis sits nice and flat. 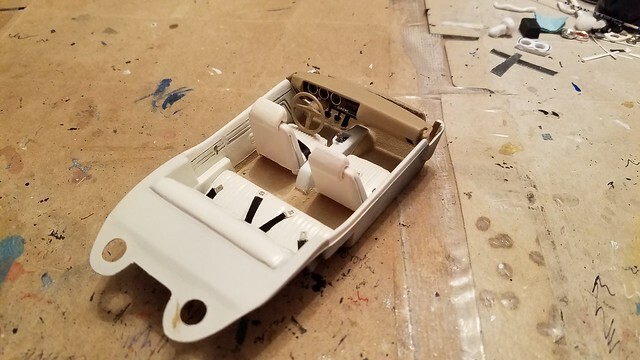 The interior is up next. 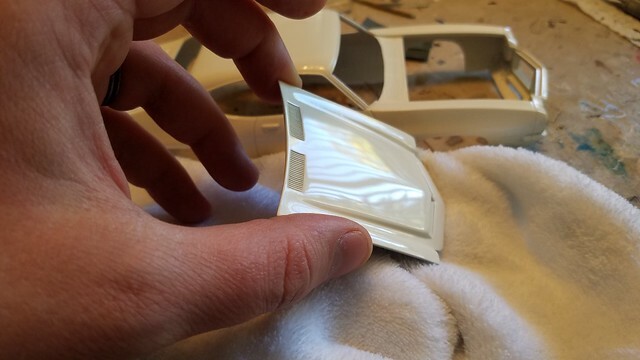 It lacks a lot of molded detail, so I'm going to have to make sure the rest of what I do makes up for it. I gave the bottle a little bit of fluid, and spent some time trying to paint these tiny wires. This Goat is almost complete! 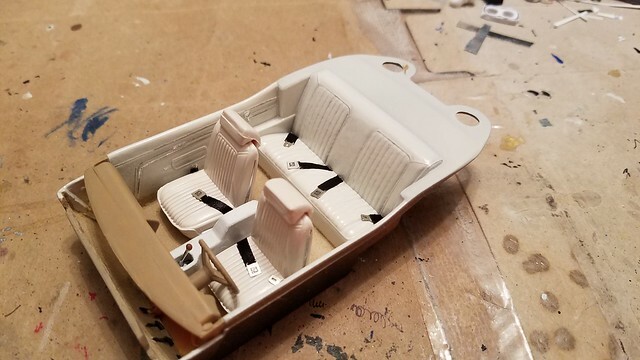 Interior is flocked and has seat belts made from ribbon. I also did some wood grain effect, although I didn't capture it too well with the phone's camera. 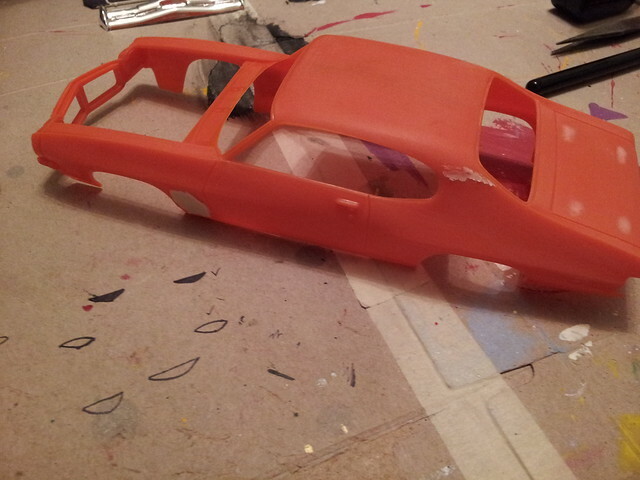 Engine, suspension, and exhaust are complete and ready to mount to the body. 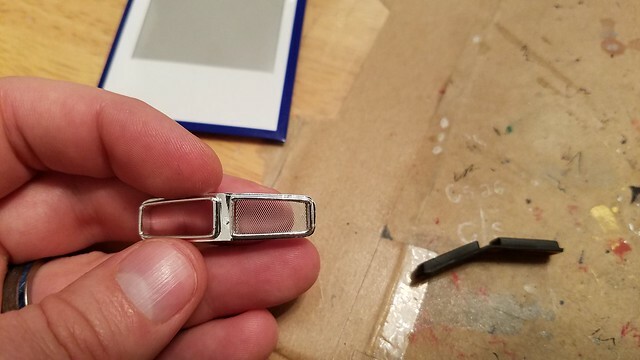 This clearcoat polished out very well for me. Probably one of my top 3. I'm going to drill these out and put some unfaceted rhinestones in place. I think they work better than molded in headlights. I guess you can be the judge of that! 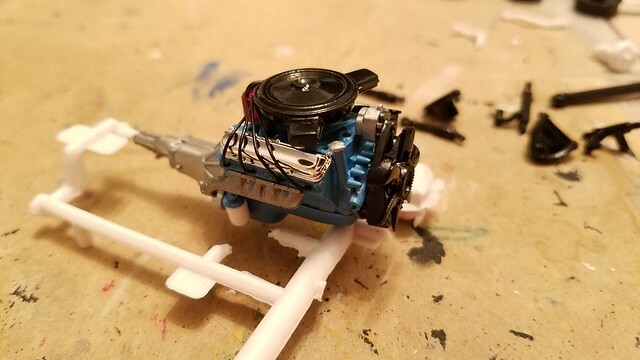 It's coming along nicely!,where did you find the engine decal? Thanks for the comment, mclovin. They are part of a set of Kieth Mark decals. 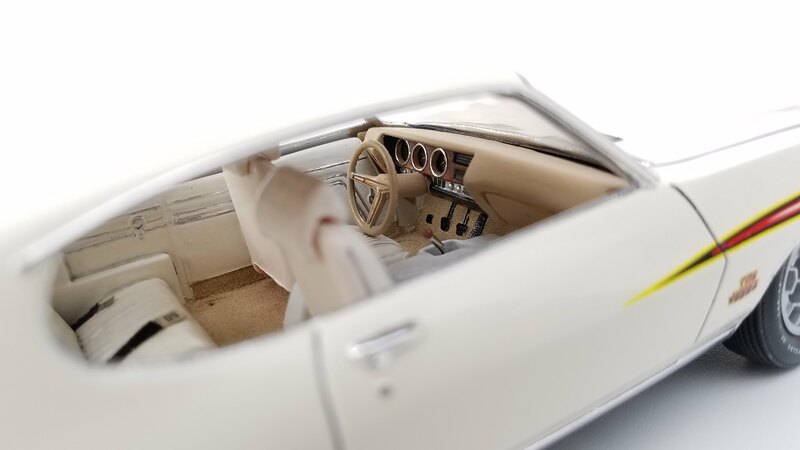 You said the interior lacked detail?! It sure doesn't look that way. Nice job on it and the rest of the build too. Thanks, Justmike. A little bit of carpeting, foil, and seat belts go a long way. I'm really glad this model came out okay. 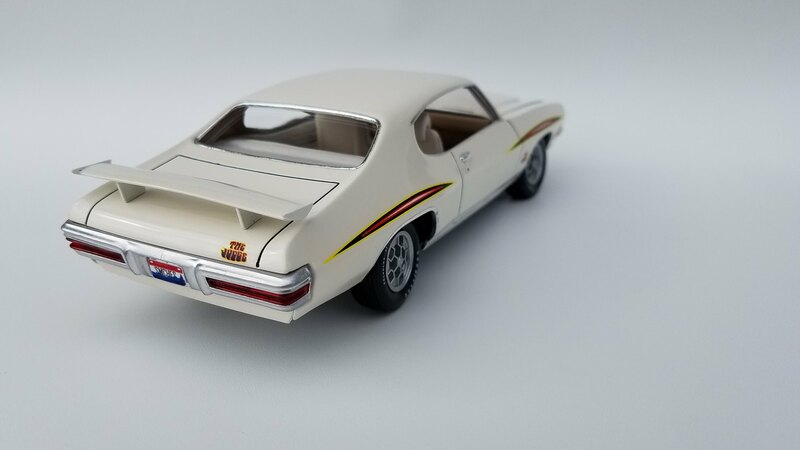 The grill, wheels, decals, and scratch built spoiler make this terrible kit work. 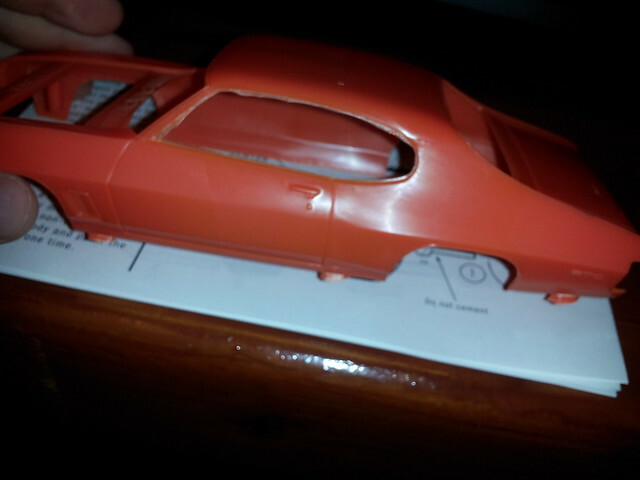 Spoiler main is two of them glued together and trimmed from the kit. I also used plastic from fake credit cards that you get in the mail as offers. 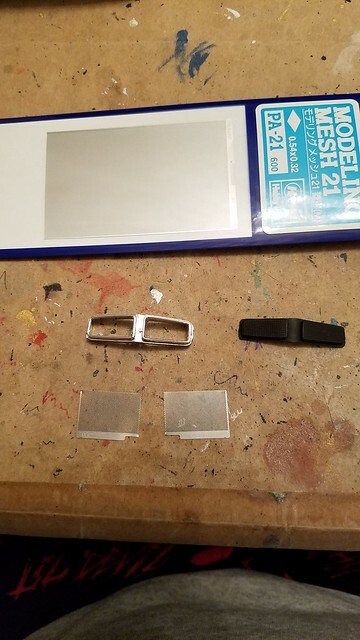 I then cut a license plate in half and used that as the posts. Wow! Talk about a silk purse from a sow's ear! Your touches really put this one over the top. Yours is also a perfect example of the relevance (or lack thereof) of the ratio of views to comments. Looks like a lot of folks have been following along. You did an amazing job on a mediocre kit!i love it!,and thanks for a heads up on the keith marks decals. Thanks for the kind words, Chucky! Mclovin, let me know if there is anything else I can help source for you. 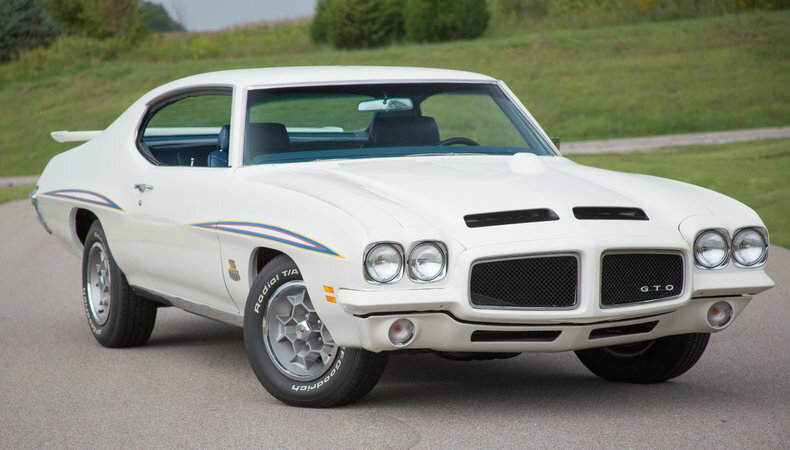 If you are building a GTO, you should post it, especially if it is a 71. I would like to see your take on it. Looks good, Samiches! I haven't built this one so I am not familiar with it. Its obvious though that you improved it quite a bit! Nice work! Great job, Samiches! You took a lousy kit and made a great looking model out of it! Excellent! That really is a good looking Judge. 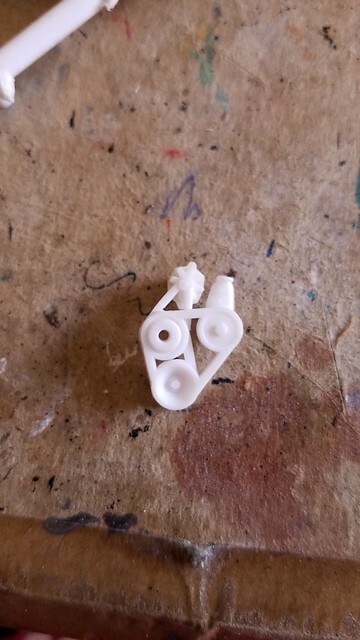 I am building a white car right now and am stressing about doing the panel lines. 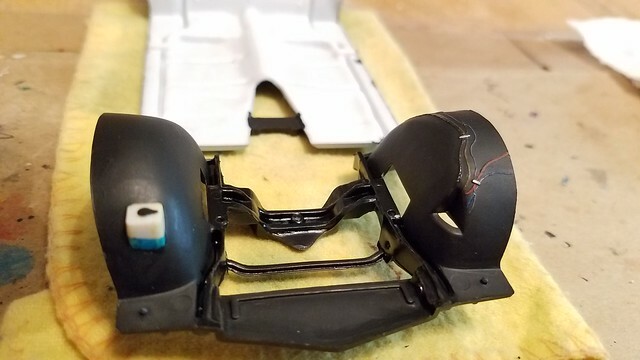 I have the Tamiya panel liner liquid but find that no matter how carefully I apply that stuff I still manage to leave evidence of where I put the tip of the brush in the panel line on the body panel(s). I don't see that with yours. 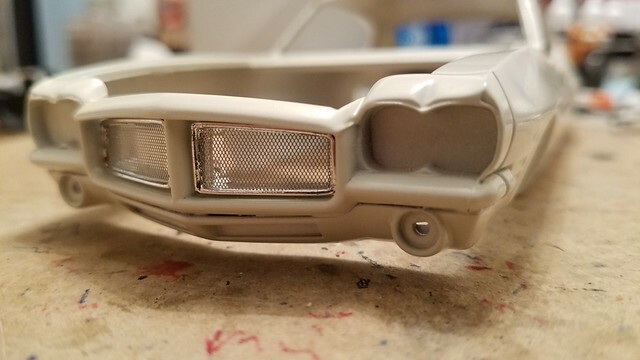 Can you share a tip or two on how to get that clean a look? She is a beauty! Very nice build for sure! Thank you all for the kind words. It almost makes me want to build another one of these kits.... just kidding. I would need another 442 kit to make it worth it and a even more patience.